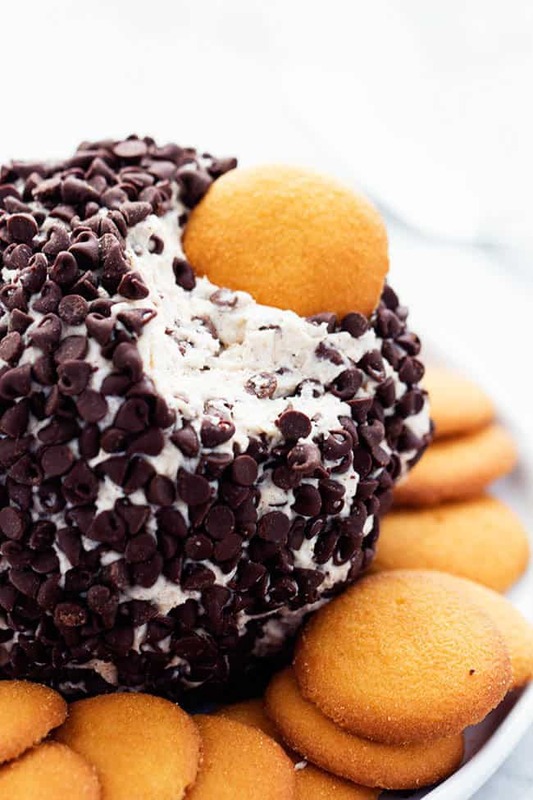 All of the delicious things about cannoli filling combine in an amazing and easy to make cheeseball! I love a good cheeseball especially around the holidays. I recently made a few different kinds of cheeseballs. This amazing Cheddar Bacon Pistachio Cheeseball and this Bacon Ranch Cheeseball. They were all savory but I had to make one that was sweet. 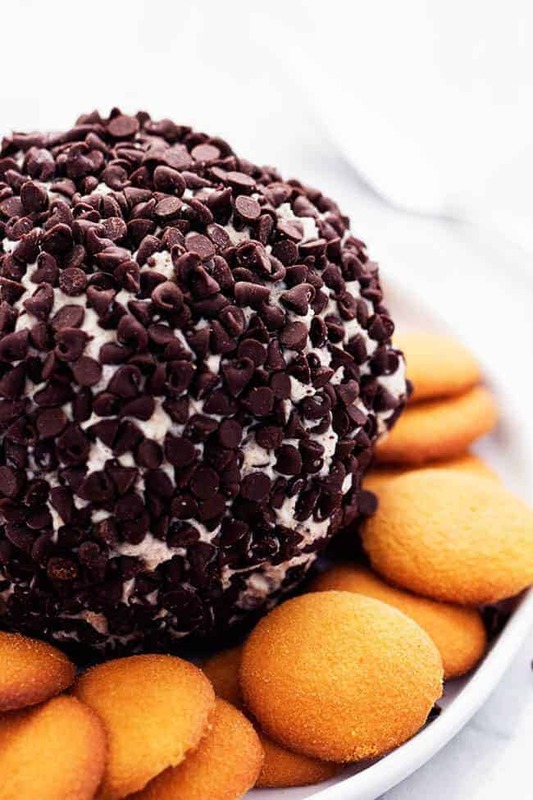 So in searching for a yummy and sweet cheeseball I found this Cannoli Cheeseball recipe on the Rachel Ray Show. 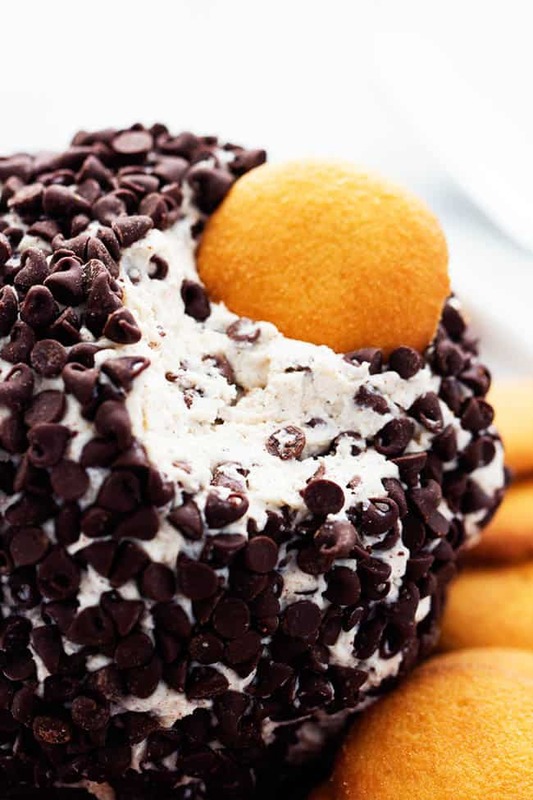 A cannoli cheeseball!? My favorite part of the cannoli is the creamy and sweet filling inside. I couldn’t wait to try these cheeseball out! This cheeseball was so easy to make. It had all of the yummy ingredients that are used in making the filling of a cannoli. Ricotta cheese, powdered sugar, cinnamon, chocolate chips… they all come together quickly in this cheeseball. Because the ricotta cheese creates a softer texture, you have to form it into a ball and wrap it in plastic. After about an hour the cheeseball is set and ready to serve! The creamy and delicious filling that you love turned into a cheeseball! This is sure to be a huge hit! In a medium sized mixing bowl combine cream cheese, ricotta, powdered sugar, cinnamon, allspice, and 1 cup mini chocolate chips. Form the cheese mixture into a ball and wrap in plastic. Refrigerate for an hour until set. Roll the cheeseball in remaining chocolate chips. Serve with vanilla wafers and graham crackers.